Velvet jewelry boxes are classic jewelry displays amongst the favorite of women. 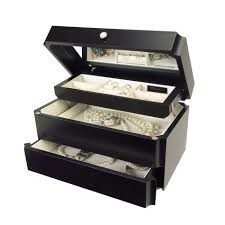 However jewelry boxes that are lined with velvet are a trickier to clean than typical cloth surfaces. Using paper towels shred may not be the best thing considered the lint they leave behind, and if you have a lint roller, it can't clean the grooves usually reserved for rings. Feather dusters, on the other hand, are completely useless against embedded dust and hair. 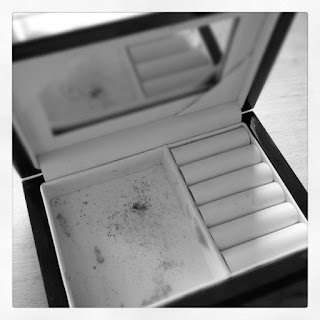 So in order to help you with this dilemma, we provided these following steps to clean a velvet jewelry box. 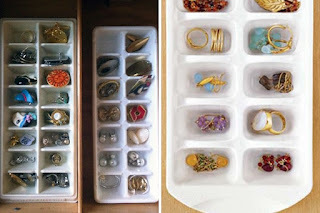 Remove everything, your jewelry box should be completely empty. 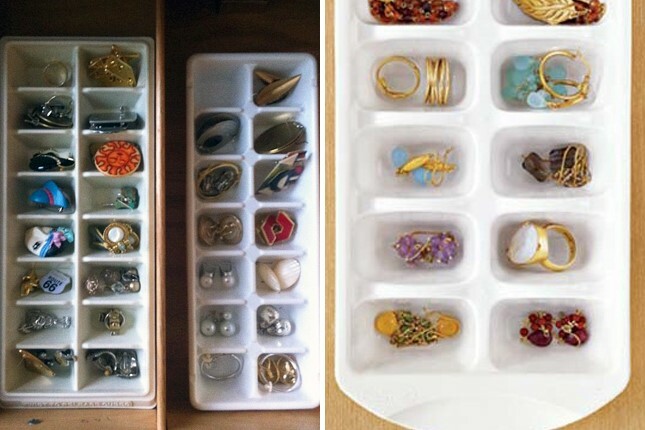 Organize your jewelry. Just a tip, lay them out makes it easier to recognize how much of each you have and how much space you need for each category of jewelry. Sort them into the following categories: chain belts; long, medium, and short necklaces; body jewelry; stud earrings, long earrings, hoops; bangles, charm bracelets, chain bracelets; watches; charms and rings. The easiest way to clean velvet is with a warm, moist cloth. Unless you’ve got stains embedded in your jewelry box, a cleaning solution isn’t really needed on such delicate fabric. Wiping your velvet down with a moist cloth will work to remove all of the dirt, dust, and hair that have made its way into your jewelry box. If your box needs deodorizing, any fabric freshening spray works great. If you’ve gone over every surface and you’ve still got a few stray hairs or dust particles hanging around, simply rinse your cloth and repeat the wipe down. Refill your jewelry box. Used the drawer space for longer necklaces and belts, the hooks for long earrings and shorter necklaces and the top space for small, easy t lose items such as stud earrings, rings, charms, body jewelry, bracelets, and hoop earrings. Makes sure to keep the jewelry visible and stored the fancier stuff I use less often.